On February 5 and 6, the Duquesne University Opera Workshop staged two one-act operas - Giacomo Puccini's Suor Angelica and Gaetano Donizetti's Rita. The productions were performed at the Twentieth Century Club in the Oakland district of Pittsburgh. These operas compliment each other very well, with the tragedy of Suor Angelica offset by the comedic Rita. 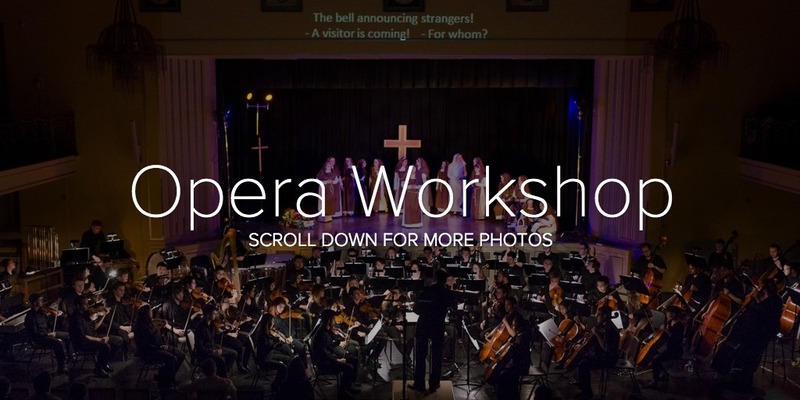 The Opera Workshop is under the direction of faculty member Guenko Guechev. A world-renowned bass-baritone, Guechev has directed many operas in recent years at Duquesne including Menotti's Medium and Telephone, Mozart's Marriage of Figaro and Adamo's Little Women, to name just a few. Guechev spoke highly of the performances and new venue saying, "The students of the Opera Workshop are a very dedicated group. They all did a wonderful job, and we are all very happy with the end result. We are also very thankful to the Twentieth Century Club. Our first performance in this space went very well, and their fantastic staff was more than accommodating." Along with Guechev, Walter Morales, Assistant Director of Opera Workshop, and vocal coaches Inessa Beylin and John Moyer also lent their assistance to make this year's operas come to life. In addition, students helped with costumes, sets, props, and marketing. Each opera was performed both days and was accompanied by the Duquesne Symphony Orchestra. Suor Angelica was conducted by Director of Orchestra Activities, Jeffrey Turner, and Rita was conducted by Assistant Director of Opera Workshop, Walter Morales. Additionally, each opera had different casting configurations for each performance, allowing more students to have opportunities to perform lead roles.